For many diabetes patients, there is a struggle to determine ideal diabetes superfoods that have low sugars and support optimal health. We are all ultimately seeking optimal health or our best health. For each person, the superfoods that will promote his or her most optimal health may vary. What may be considered superfoods for your average person may not be the same superfoods for diabetes patients. If you want to achieve your best health, you must start to ask yourself and your body questions like what are the superfoods that are going to bring me to my most optimal health? For people managing diabetes, they may also be seeking the best superfoods for weight loss or be on a quest to identify the best diabetes superfoods that may have a medicinal effect on them. All the foods mentioned below have low sugars and a low glycemic index and offer essential nutrition that is often lacking in lacking or artificially introduced in processed foods, including: calcium, potassium, fiber, magnesium, and vitamins A, C and E.
Although supplementation is always an option, the best thing to do is eat whole foods. Think about the food as you eat being the fuel and nutrition your body needs. Use the suggestions below as diabetes superfoods and the best superfoods for weightloss. Believe it or not, beans (also known as legumes) are a nutritional powerhouse. They come in all different forms. Whether you are eating black beans, pinto beans, kidney beans, garbanzo beans or your favorite bean, you will benefit from the high levels of fiber, which satisfies 1/3 of your daily requirement in just 1/2 cup of beans. Beans or legumes are also full of potassium and magnesium. Beans are also highly reliable for protein without the saturated fats you get from meat. If you use canned beans, make sure to rinse and drain them. If you cook them raw make sure to soak them before cooking them to making them easier on the digestive system. Any dark leafy green will do- just pick your favorite one. There are so many to choose from, from chard to collard greens, kale, spinach, and more. They are all low in carbohydrates and calories, which means you can't overeat dark leafy greens. When you indulge in your favorite citrus fruit, you get a healthy dose of daily soluble fiber and vitamin C. There are dozens to choose from like lemons, oranges, grapefruits, and limes. For a much healthier alternative to starchy potatoes, start eating sweet potatoes. They are packed full of vitamin A and have a lower glycemic index. Unless you have a berry allergy, berries are considered superfoods for everyone. There are many options to choose from and they are all full of antioxidants, vitamins, and fiber. The seeds specifically offer up a high dose of nutrition if you can liquefy them. Blueberries, blackberries, raspberries, strawberries or a myriad of other varieties can be added to smoothies, mixed in with yogurt, or enjoyed raw. Berries also have low sugars and a lower glycemic index than some fruits. These beautiful red vegetables are full of vitamin C, iron, and vitamin E. You can enjoy them raw or cooked. They are an oldie but goodie staple product to keep in the kitchen. One of the best options in this category is salmon. It's best to stay clear of fish dishes that are fried. In fact, fried fish should not be counted towards your high omega three fatty acid fish consumption. Of course, if you are a diabetes patient and managing a diabetic friendly diet, you are already staying away from any foods that are high in carbohydrates. 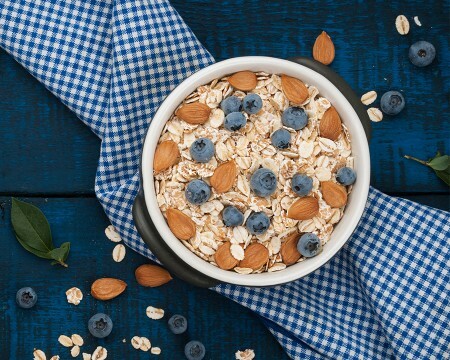 Nevertheless, incorporating small amounts of whole grains into your diet, such as oatmeal or quinoa, will provide you with some fiber and potassium. When used with portion control, a few nuts can go a long way. The healthy fats, magnesium, and fiber turn nuts into a diabetes superfood. There are so many different nuts and seeds to choose from. Almonds, sunflower seeds, walnuts, pepitas, cashews, pecans and more. Add a little here and there throughout your day and get all the benefits they have to offer. These diabetes superfoods can be prepared in a variety of ways. Sticking to the healthier options and ingredients will ensure supporting your best health and optimal health. Are Nuts Good For Weight Loss? Is Fruit Good for My Sugar Cravings?